What separates the great champions from the also-rans, the good club players from those thrashing around in the rough in an attempt to find yet another lost ball? In a word, practice. The amount of time you put in with the club professional or even on your own, honing and improving on the basics of the game will determine how rapidly you improve and how success you are in building on those skills rather than sliding into bad habits. No one disputes the fact that beginners must invest in lessons. Swinging a golf club requires a lot more skill than casual observers of the game might think. Not only has both the upper- and lower-body got to be right, but there is the grip to think of, too, as well as the mechanics of the swing. Yes, some individuals are naturally more gifted than other, but no one comes to the game cold and instantly hits the ground running. Unfortunately, in all too many cases, once those beginners’ lessons are out of the way, practice becomes to be viewed as strictly for rookies. Sad to say, golf courses have more than their fare share of know-alls who can’t see the flaws in their game, and put poor score cards down to the elements, their clubs, or just simple bad luck. But the fact of the matter is that these players are deluding themselves. So mistaken are they in the belief that they have nothing left to learn that they carry on regardless - to the detriment of both themselves and the playing partners who have to suffer their company on the course. Those blessed with more commonsense realise that you never stop learning the game; that there is always room for improvement. It is true that match conditions can hone particular skills, both physical and mental, but it is surprising the difference that practice sessions can make. They provide the chance for both yourself and others to assess your technique and make small adjustments that could translate into significant improvements. These sessions should be designed to address individual parts of your game, so work for an hour or so on your performance off the tee, other times on the art of putting, or tackling difficult lies or bunker situations. With the pressure of a match situation removed, where the significance of a shot can mean the difference between a birdie and a bogey, you will be more relaxed and better able to work on your body shape and your swing. 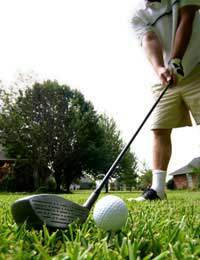 Of course many golfers are time poor, meaning that every chance they have to get on the municipal course or visit their club, they want to be out playing. But it is important to resist this temptation and realise that practice sessions are a worthwhile investment in your game. You are in this for the long haul, so look at the bigger picture and realise that putting in the hours practising is not time lost, rather it is going to make your next round all the more enjoyable because you will be in better shape to put in the sort of performance that you are aiming for. You may not reach the giddy heights of professional standard, but you will a lot better than those players happy to blame their clubs rather than face up to their own arrogance.